Gastronomixs English: Do broccoli stalks need to be thrown away? At Gastronomixs we show you all the things you can do with ingredients like broccoli. Did you know that we also show you what you can do with parts of ingredients you would normally throw away? 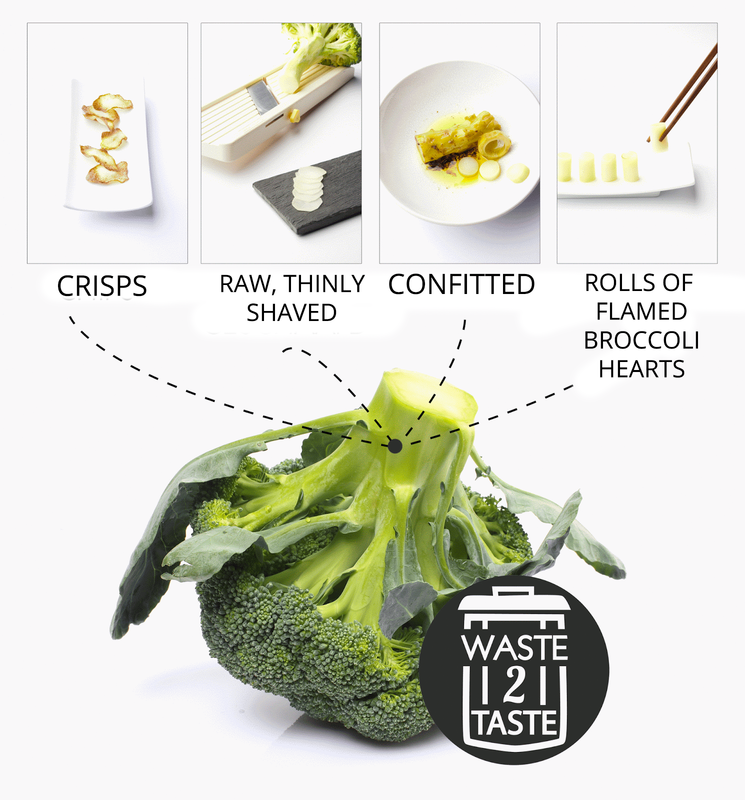 One of the waste2taste components for broccoli are crisps made from broccoli stalks, a simple dish that only requires broccoli and some sea salt. A completely different way to prepare the stalk is to thinly slice it raw, as broccoli stalks have a lot of flavour and also an unusual texture. A very tasty component is broccoli stalk confitted in clarified butter with vadouvan. You can then use the stalk in its entirety or cut it into slices or shapes. A slightly more complicated, but very unusual method, is to cut the stalks into ribbons that are then 'scorched;' the ribbons could then be used, for example, in a combination with escabeche. As you can see, there are plenty of possibilities for using up broccoli stalks! Try it for yourself and find out how you could use them in your kitchen! And don't forget to look at what you could do with all the other 'waste' products in your kitchen.